When it comes to water sports and outdoor recreation, Banff National Park has it all – placid alpine lakes, lazy, slow moving rivers, and rippling and foamy mountain creeks and epic whitewater. There are plenty of places for canoeing and kayaking in and around the town of Banff, Canada – the Bow and Spray Rivers run through town — and the range of canoeing and kayaking opportunities offers something for paddlers of all levels, be they novice, expert, or somewhere in between. 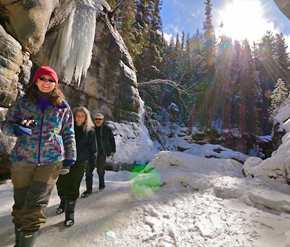 Whether you are looking for adrenaline soaked adventure or just want to relax and take in the alpine beauty and wildlife, you can do it here in the heart of the Canadian Rockies. Canoes can be rented at Blue Canoe, at the north end of Bow Avenue (also accessible from Wolf Street) in downtown Banff. 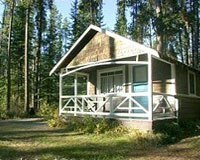 From the canoe docks on the river, paddlers who put in directly right here can explore a gentle leg of the Bow River or follow 40 Mile Creek into the Vermilion Lakes. Both routes offer opportunities for wildlife viewing. 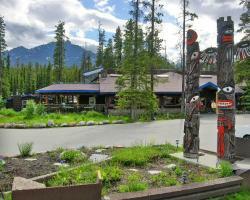 North of Banff near Lake Louise, canoes can be rented at Moraine Lake Lodge and at the Fairmont Chateau Lake Louise. With hourly rentals here, you can take as much or as little time as you like to explore the pristine mountain lakes and unspoiled alpine scenery here. Kayaking on the lakes around Banff are an excellent way to not only enjoy the natural beauty of Banff National Park in serene settings, but also to observe the area’s wildlife in their natural habitat. It’s also an excellent opportunity to laze away an afternoon fishing on the many rivers. Banff Travel offers half-day guided tours in inflatable kayaks, including a scenic “calm water” trip down the Bow River, with instruction in basic kayaking techniques and safety. 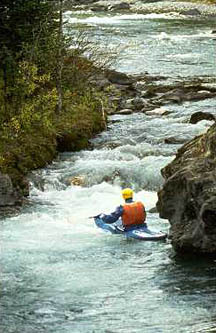 *Yes, that’s right, V+, as in should only be attempted by expert creek boaters/kayakers. There are epic 20- and 30-foot drops, log jams — anything the experienced whitewater kayak junkie could want – on this short, intense river which empties into the Bow River between Banff and Castle Junction. Hard boats not your idea of watercraft? Prefer inflatable rafts? 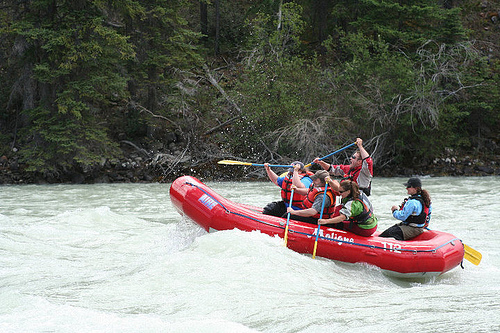 Don’t worry, there’s whitewater rafting and float tours available in Banff National Park. 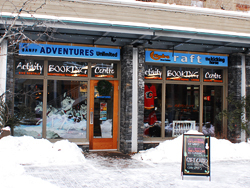 If you’re looking for a guided trip, maybe something more family-friendly than epic Class V rapids, we can suggest Banff Travel.